Find top interior designers in Chennai with minimum experience of 20 projects. Check real photos and customers reviews before fixing an appointment and get free quotes within 24 hours of the inquiry. Avail variety of services of an experienced and qualified interior designer in an affordable budget. Get on-time project delivery of plans and designs, renovation work or woodwork and furniture. Book the interior designer and let your new design speak for you. Work Place is 3bhk flat in Northtown M very happy to sharing my experience with this firm Service, Team work efforts, Materials, Attending a Client, Ontime Complete, Good behaviour with Client, After sale Service I think we all need these when we hire someone for our work and thanks to god that i hired AJANTHA CONTRACTORS bcoz i got all of these in this firm. I talked 6-7 contractors for my flat work and explained everything to them but initially they are so good to us but if we say that we dint decide it, need some time, their interest also gone like then they will not talk properly with us bcoz we r taking time for hiring but he was the one who is not like that contractors. He was so calm to solve my all doubts First of all guys i wanna tell that i m not his frnd, not any relative also, i just a client only who hired him from URBAN CLAP. Seriously trust me guys before hiring this firm i asked so so so many questions about my work but he always listened me properly and cleared my all the doubts during the work so they r such a nice behaviour with their client Material wise no doubt all r very good brand, so they dint cheat us bcoz all materials came infront of me only. What to say about team work, they all r amazing labors r hardworker if they took any leave next day they will start early and will go late also Thanks to DAYA and MANI, they both r superb, they spend time to see how labors r doing work in the site Last but not the least we all want to complete our project on time, now in my flat as i say work is going on but its near to completing stage and surely they will give me on time only At the end i want to say a big big thanks to VICKY for taking my project and provide me more then good service, for u i will say TOUCH THE HEIGHTS OF SUCESS So if u dont know any carpenter, electrician, Painter or Civil person , u should hire this firm , surely they will not disappoint u.
Anil has been extremely customer and quality focused in his work. He say gave us excellent suggestions on doing the interiors of our apartment. Anil can be entrusted to complete all the assigned work with delivery on committed date. He provides daily updates on WhatsApp with photos. Additionally Anil also has contacts who can help you with metallic grills, electrician etc. I will strongly recommend him for any house owner who wishes to do end to end interiors. Why Should You Hire an Interior Designer in Chennai? Expert advice The best interior designers in Chennai are trained to make the most of the space available to them. 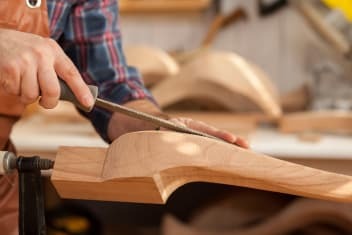 Their reputation is built on each and every project, whether big or small. Therefore, they carefully assess your property, speak to you in detail about your vision for your space, show you more possibilities, and pay attention to every detail to give you a beautiful yet functional space that you can call your own. Better output Interior designers in Chennai are creative professionals who also know a lot about the materials used in residential property construction or renovation. Office interior designers in Chennai can give you suggestions on materials and design, keeping your budget in mind and, thus, make your workplace a better environment to work in. This saves you both time and money since you don't have to spend long hours in researching about these things. Interior decorators in Chennai can, in fact, convert your vision into reality and sometimes, create something even better. Cost savings Experienced interior decorators in Chennai are always concerned about sustainable practices and enhance the look of your home by incorporating ideas that save energy. For instance, apartment interior designers in Chennai could design skylights, so that your space gets maximum natural light during the day. This way, you could save a lot of money on utility bills for years to come. Time effectiveness We are so busy these days that we don't have enough time to directly get involved in redesigning and remodelling our homes. Even on weekends and holidays, we prefer to rest or spend time with our families and friends. A new construction or renovation project can turn out to be quite stressful. This is where interior decorators in Chennai come and save the day. You just have to convey all your concerns and ideas to them, and they take care of the rest. Advice on materials and colour palettes Picking the right colours for your furniture, walls, draperies, etc. can prove to be a tricky affair. In fact, most people are afraid to experiment, worry that their house will not look great with the colour combinations they choose, and mostly prefer whites, creams and other light colours. On the other hand, years of experience allows interior decorators in Chennai to experiment with colours. Moreover, they understand the effects of the right colour combinations for any space. 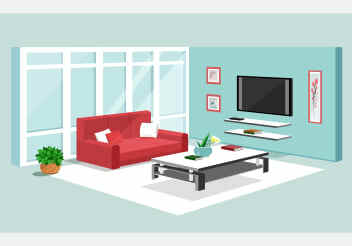 Right furniture and accessories Your interior decorator in Chennai can help you out if you're finding it difficult to identify the right size of furniture for your new space. He or she will, in fact, also help you out with the right furniture materials for your décor. They can also connect you with shops and dealers who specialise in unique and stylish products and offer them at competitive prices. What are the Services Provided by an Interior Designer in Chennai? Consultation If you only require expert advice or just want to have an idea about the interior design of your house for future reference, you can opt for a consultation session with your interior designer. All interior designers in Chennai have different consultation fees -- while most charge on an hourly basis, some may give you a vague design without charging you anything. 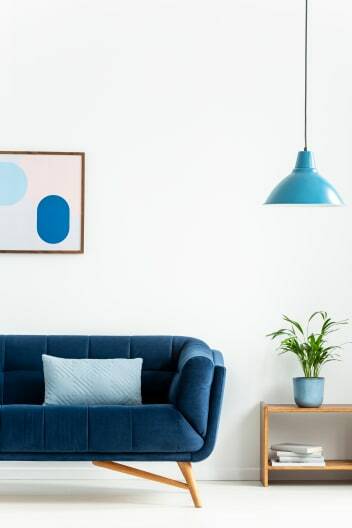 Blueprints If you don’t wish to start with the designing process just yet, you can ask your interior designer to have a look around your space and simply create a blueprint of the design for you. People usually do this to have the design consulted by other professionals or to use it as reference and implement it by themselves. Getting blueprints, of course, costs much less than the actual designing. Packaged design services Whether you want your old space remodelled with freshly-painted walls, different furniture and a new flooring, or have a space designed from scratch, interior designers in Chennai can create specific packages to suit your needs. These packages are created right after a consultation session and keep in mind your budget and other important requirements. Procurement It can be a hectic and time-consuming affair to hunt for and buy products for your home. However, the best interior designers in Chennai also take up the task of just procuring products for your space. Since they know their way around the markets and are in touch with all the right people from the industry, they do this job efficiently, thus saving you a lot of time. Turnkey projects If you want your space renovated or redesigned from end to end, this is the service for you. From creating a design, to procuring the materials, executing civil work, furnishing the space, managing labour and other professionals and finally handing over a completely renovated space in a timely fashion, turnkey projects entail all of this. Skilled & Experienced Pros When you hire from UrbanClap, you get an interior designer who is not only trained and skilled in his subject matter, but also comes with a minimum work experience of 2 years across residential, commercial, retail as well as hospitality projects. Background-Verified We can confidently state that our quality screening process ensures that every interior designer on our platform has been vetted for credibility, and his or her national identity, address and criminal background has been verified by the top verification agencies in India. Equipped to Provide a Range of Services Whether you want just a 3D design consultation, help with finding the right wall paint colours for your living room, or even a complete overhaul of your home's design, our interior designers in Gurgaon can help you out with these requirements. Adaptable and Fluid A palace is not built in a day. And our interior designers at UrbanClap know this better than anyone else. 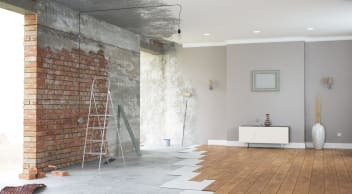 Hence, they keep your availability and convenience in mind, and work around those to ensure that nothing about this entire process of interior designing inconveniences you. Be assured that you can give your feedback and inputs to them at any point and they will definitely try to incorporate them to the best of their abilities. Able to Work With Different Budgets At UrbanClap, you will definitely find an interior designer who can offer his or her services to suit your particular budget. Additionally, different tasks cost different amounts, and you can choose between them to find one that suits your needs. For instance, the charges are different for just consultation, design and implementation, remodelling of select spaces, remodelling of the whole house, commercial designing, etc. Where Else Can You Find Top Interior Designers from UrbanClap? What are the Services UrbanClap Provides for Design and Execution of Interiors in Chennai?